In the graffiti-laden Architecture Building and the claustrophobic Monetary Times Building, students are once again getting busy with popsicle sticks — for the annual Bridge Building Competition. 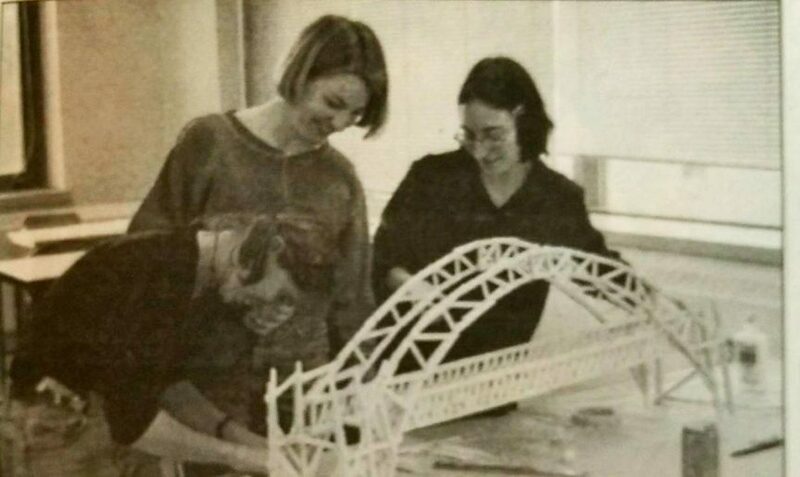 Each year, third and fourth-year civil engineering and architecture students get nine hours to paste wooden popsicle sticks together, just like in kindergarten, with hopes of building the strongest bridge. The construction took place last week, and Thursday is destruction day. Each of the bridges will be tested for strength by having weights placed on them until they break. Last year’s winning bridge, built by fourth-year civil engineering students, held 522 kg. In second place was a bridge built by second-year civil engineering students, which withstood the pressure of 387 kg before breaking. The team with the bridge that holds the most weight goes to Concordia University with the Ryerson Civil Engineering Society to compete in the nationals.